Updated Wednesday September 21, 2016 by Saskatoon Minor Basketball. 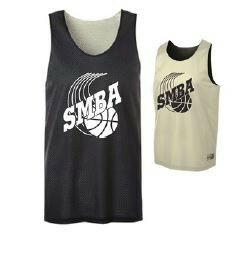 For those of you ordering our new SMBA Fall league jersey the deadline is Sunday, September 25th at 10pm. The sizes for trying on can be found at Al Anderson. If you would like to try them on before ordering please do so before the deadline on Sunday. You cannot directly from the store. The order has to be placed via the online store. The online store has the jerseys, several other clothing items and also sports bags and back packs. Check the attachment to see all of the items for sale online.